Mick regularly delivers talks designed to motivate and enhance the happiness and success of participants. His sessions, which are always thought-provoking, lively and entertaining, are customised for each group. Some of his most popular topics include “Empowering Self-beliefs”, “Building Resilience”, “Positive Relationships” and “Positive Psychology For Life”. 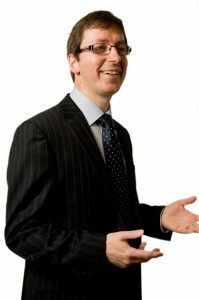 Mick Rock is a passionate speaker, trainer and personal coach. He recently qualified for the Toastmasters District Final of their International Speech Contest and will be shortly competing against the top 12 speakers in Ireland and the UK. He previously reached this level in the Toastmaster’s Humorous Speech Contest. He knows how to fully engage his audiences to ensure they thoroughly enjoy the session and understand the key learning points that, when implemented, can transform their lives. He has helped hundreds of people to enhance their well-being, set up their own businesses, obtain greater work-life balance and achieve success in a wide variety of other goals. Mick is the co-author of a new positive mental health programme for Primary schools called Weaving Well-Being. He has an MSc. in Applied Positive Psychology and his motivational talks are grounded in evidence-based interventions from the field of Positive Psychology. A brief description of his most popular topics is set out below. As you can see from our Client Feedback pages Mick’s motivational talks consistently receive highly positive reviews. Here is a short video testimonial from Joanna Orlinska, who attended one of Mick’s talks delivered in the DCU Ryan Academy.